iOS Release 12.2 change when on boarding device – App47, Inc. 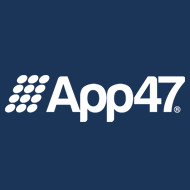 While testing the final release of iOS 12.2 release by apple as part of their latest features we noticed a change for enterprise users when on boarding their iOS device with the app47 App Store. Since day one of onboarding an iOS device using the WebClip method, when the user touches the link to start the process, our servers download the information needed for the device. The user is then walked through the process, straight forward and easy. As of 12.2, the user is now informed that they’ll need to go to settings to accept the profile to install it. Not a big deal in the grand scheme of things, but there are two major issues for your employees. First, it’s not what they are used too, so there is some retraining involved. Second, and more importantly, the user has to leave the safari app, start the settings app, find the profile and click install. This critical step was previously started for the user. We have updated the UI to inform the user on what they need to do to complete the on boarding process. Starting with the screen to start the install process has updated instructions for iOS only. The user will be informed of steps required in the next two screen shots. Once this completed, the employees will need to leave the safari app and go to Settings App, Click on "Profile Downloaded" and then click install.